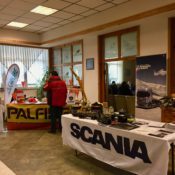 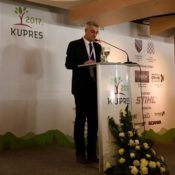 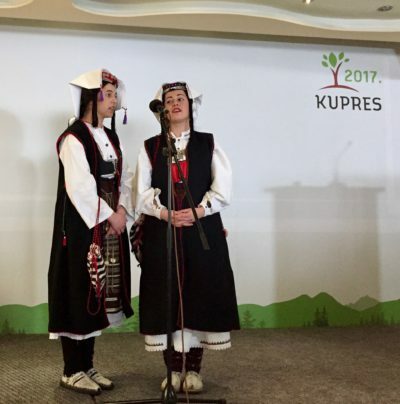 The KUPRES 2017 Conference: ̋Forestry and the Need for Sectoral Education on the European Path of Bosnia and Herzegovina ̋ was organized by ŠGD Hercegbosanske šume and the Croatian Wood Cluster on 9-10 February 2017, in Kupres, Bosnia & Herzegovina. 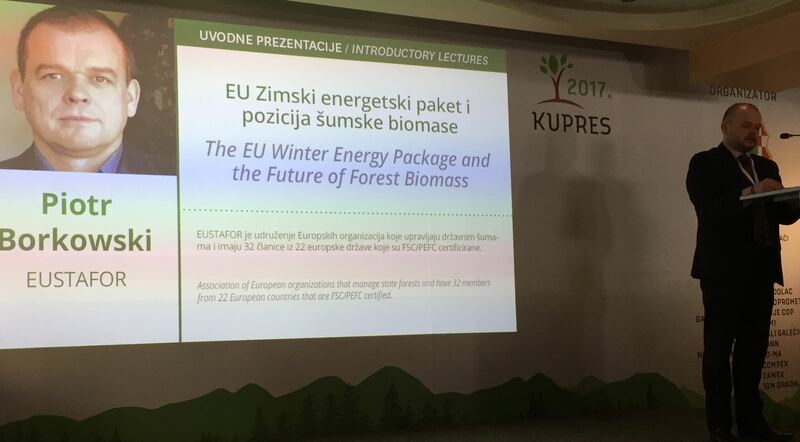 EUSTAFOR’s Executive Director, Piotr Borkowski, gave an opening address as well as a full presentation on the relevance of the EU Energy Winter Package to European forests. 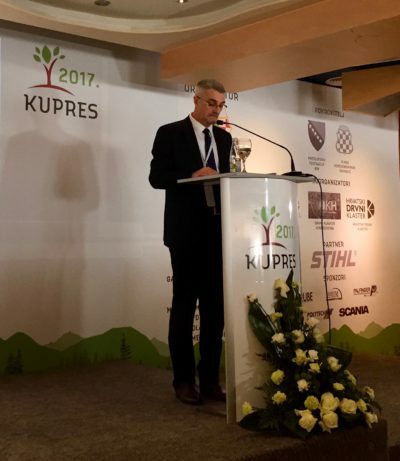 The main topic of KUPRES 2017 Conference was “Forestry and the Need for Sectoral Education on the European path of Bosnia and Herzegovina.” EUSTAFOR supported organizations at the event which was the main annual conference of the entire forest-based sector in the Balkan region. 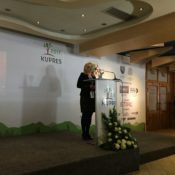 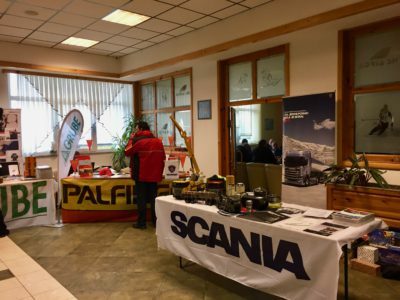 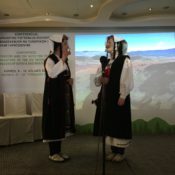 The objective of the conference was to encourage forestry and the wood processing sector of south-eastern European countries to improve their businesses through additional training of personnel, exchange of knowledge, application of new technologies and economic solutions as well as seeking means for greater use of EU funds made available for countries of the Balkan region. 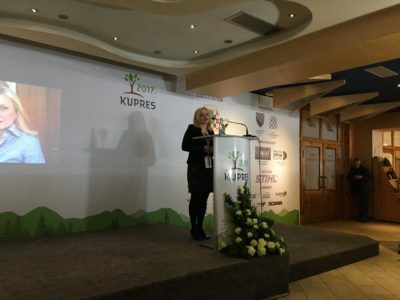 Additionally, the conference program included a keynote speech by MEP Marijana Petir (HR/EPP) on “What does Europe expect from its forests” as well as an overview of current EU policy developments relevant to forests and the forest-based sector. 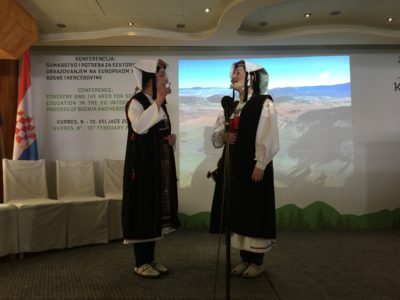 Mr. Borkowski addressed the participants at the opening of the conference and, in a subsequent presentation, explained the relevance of the EU Energy Winter Package to European forests. 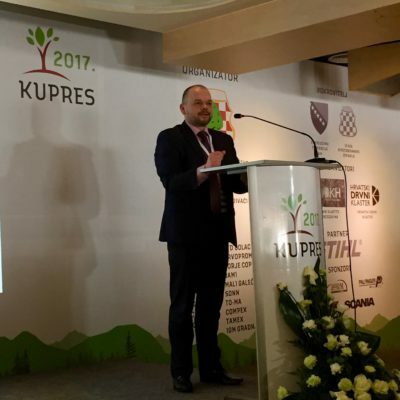 He also outlined the main objectives and current activities of EUSTAFOR. Other presentations addressed the experiences of Hercegbosanske šume in demining forests and the resulting consequences for forestry practices in Bosnia & Herzegovina, environmental and market trends, the price of wood and wood assortments, the realization of capital investments in the sector, biomass and energy from wood, along with many other topics.